This image is based on a big wall we did for the Big Draw a few years ago and I recently came across most of the necessary stencils for a smaller version that have been hidden away for a good while and so decided to put them to good use on a couple of canvases once the extra bits that were needed had been cut. 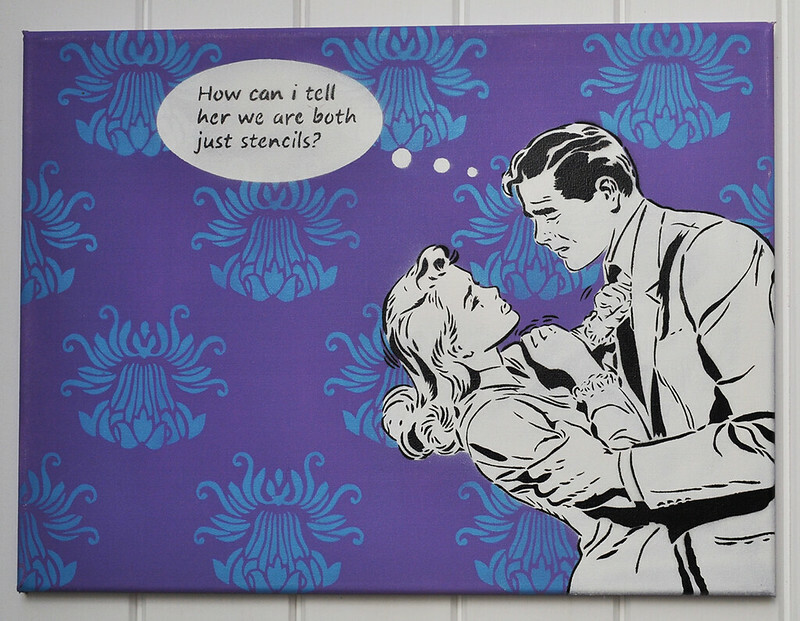 I think my favourite aspect of this picture is his desperation at his inability to tell her that they aren’t really lovers and are, in fact, just stencils. Life can be tough, can’t it? Title: How can i tell her?